As part of our 2013 Holiday Gift Guide, Southern Mom Media and Down South Savings will be hosting some amazing giveaways throughout the season. They have generously agreed to give one lucky fan their very own Large Royal Sack just in time for the Holidays! 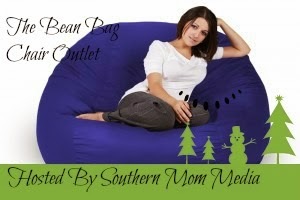 Who wouldn't love to lounge around in front of the fireplace on one of their awesome Bean Bag Chairs? To enter simply follow the instructions on the Rafflecopter form below. All claimed entries will be verified so thanks in advance for your honesty. Giveaway is open to US Residents age 18+. Void Where Prohibited. Interested in having your products in our 2013 Holiday Gift Guide? Check out the details HERE.